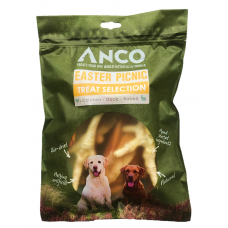 Our Easter Picnic Treat Selection is packed full of delicious treats for your dog this Easter Day. 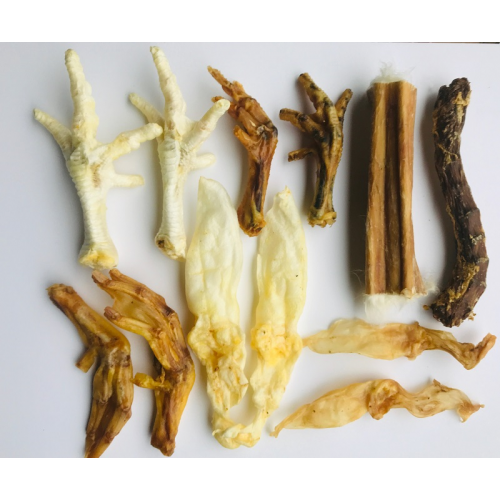 Containing 1 x Rabbit Hide Roll, 2 x Chicken Feet, 2 x Chicken Feet Puffed, 2 x Duck Feet, 1 x Duck Neck, 2 x Rabbit Ears, 2 x Rabbit Ears Puffed. 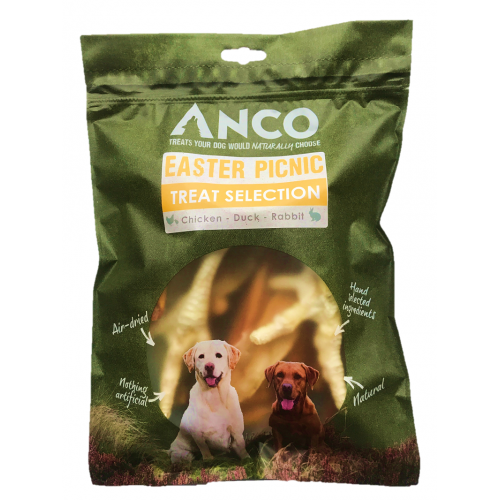 These treats are all 100% natural, air dried, nothing artificial, ethical and hand source.